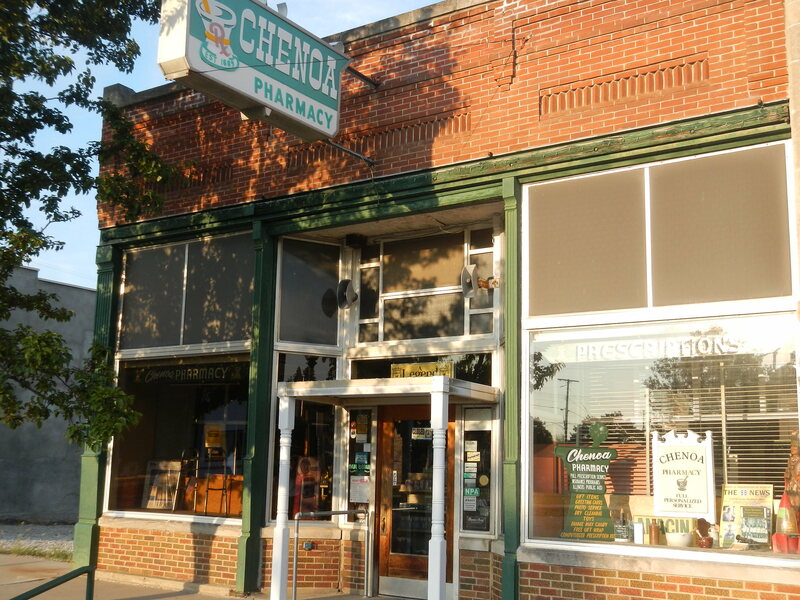 Chenoa Pharmacy is a full service pharmacy in historic downtown Chenoa, Illinois. Established in 1889 as Shuirman’s Drug Store, Chenoa Pharmacy has spent over 100 years serving the residents of Chenoa and the surrounding communities as a one stop destination for prescriptions, over the counter medications, greeting cards, dry cleaning, gifts and toiletries. With local area delivery and easy online refill orders, the business continues to evolve to keep the customer experience as convenient as possible. Owned by Rob Taveggia, only the fourth owner in the store’s long history, Chenoa Pharmacy is open 6 days a week. Visit us at 209 Green Street, Chenoa, Illinois or call 815-945-4211.